Notification Center in iOS 7 is more innovative than ever. Notification center debuted with iOS 5 in 2011 and has become an essential part of the iOS ecosystem. With iOS 7, Apple makes Notification Center better ascetically while adding Google Now like features such as directions and calendar. To access Notification Center in iOS 7, simply swipe down from the top of the screen. Notification Center will appear, with it’s new look. 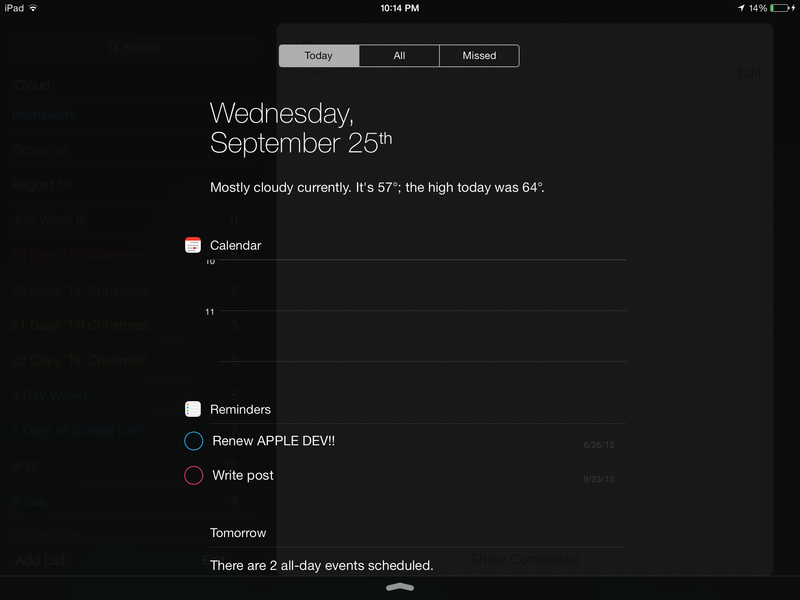 Apple has integrated Calendar directly into Notification center Your can now get a detailed view of what’s going on during your day as well as view the weather and reminders. Notification Center’s Google Now like technology is particularly helpful. I’ve always been a fan of Google Now, and find myself using Notification Center more and more now. Let me hear your thoughts in the comments below! How does this relate to our site?